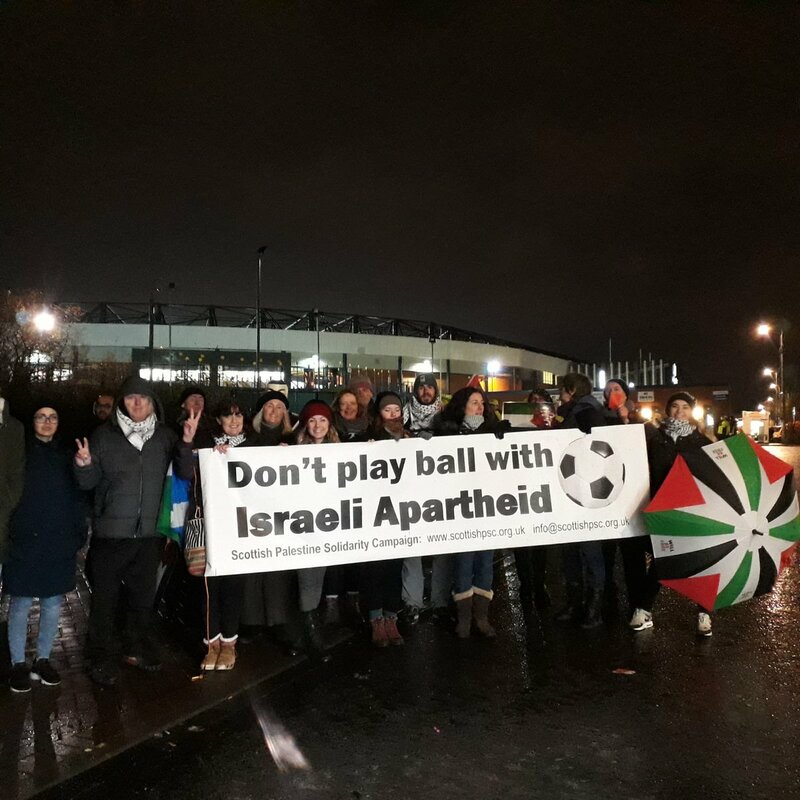 Scottish PSC and other activists started early on a blustery and wet afternoon and evening to hand out cards to spectators prior of Kick Off. An hour and a half before Kick Off chanting started and flags were waved which generated very supportive engagement from the home fans. 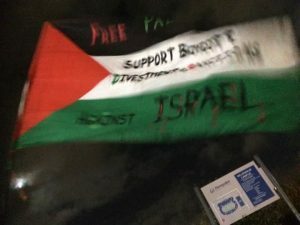 The message was clear to one and all – expel Israel from UEFA and FIFA.